We are also having a complete review of all our Championships and Events this year. There will be some major changes made to ensure that we have full fields and that we comply with our Health & Safety and Child Protection obligations. What joy! Once again, our events have been well supported and congratulations to all those mentioned in the following pages on their success. 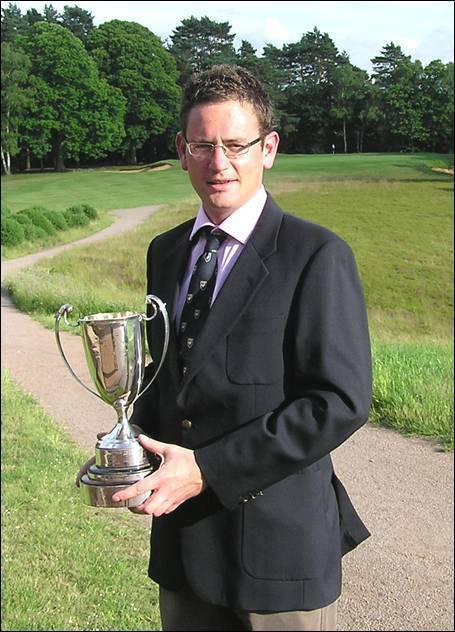 Special mention to Kevin Freeman (Stoke Park) on his second win in the County Championship. We wish him well in the County Champions’ Tournament at Woodhall Spa in September and know he will put in a creditable performance on this tough course. Lastly my thanks to those of you who continue to use our web site to download entry forms for our events. An excellent performance at John O'Gaunt on 24th June saw us earn a very respectable draw. With 4 new caps in the side and just three players with County Colours this was just the start we needed against a very strong Bedfordshire team. Team at John O’Gaunt: Steve Barwick (Stoke Park), Craig Buttivant (Gerrards Cross), Jon Carter (Reading), Andrew Crux (Denham), Adam Glass (Caversham Heath), Tim Newton (Reading), Malcolm Reid (Royal Ascot), Ashley Walton (Frilford Heath). A spirited fight back in the afternoon singles saw us win the match against Hertfordshire 6½-5½ at The Oxfordshire on 15th July. Trailing 3-1 after the morning foursomes, the highlights of the afternoon included Andrew Crux's (Denham) 10&8 win and Matt Brigg's (Stoke Park) comeback from 3 down to halve his match. Congratulations to Adam Wootton who gained his County Colours and 'capped' that with a good win in the afternoon. 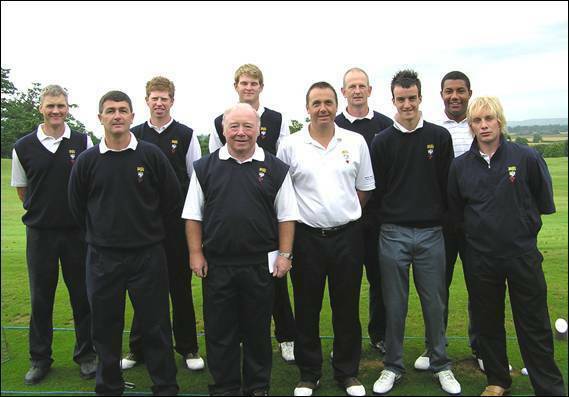 The Team at The Oxfordshire: Steve Barwick (Stoke Park), Matt Briggs (Stoke Park), Craig Buttivant (Gerrards Cross), Carl Corbin (Wokefield Park), Andrew Crux (Denham), Adam Glass (Caversham Heath), Malcolm Reid (Royal Ascot), Adam Wootton (Oxford City). Team at Theydon Bois: Adam Birdseye (Hazlemere), Alex Carey (Sand Martins), Nick Joy (Hazlemere), Josh Kensit (Richings Park), Tim Newton (Reading), Tom Wilde (Beaconsfield), Joe Winfield (Woburn), Dean Wright (Reading). For the first time in many matches we managed to have a good lead at lunchtime at Royal Ascot on 9th June. However a series of unforced errors from us at the 17th in the afternoon singles allowed the opposition to earn a draw, which in the end was a very disappointing result. Team at Royal Ascot: Brandon Caddow-Young (Royal Ascot), Alex Carey (Sand Martins), Matthew Hawkes (Royal Ascot), Tim Newton (Reading), Jim Prince (Sonning), Tom Wilde (Beaconsfield), Lee Wanklyn (Sand Martins), Adam Wootton (Oxford City). Team at Calcot Park: Alex Carey (Sand Martins), Matthew Hawkes (Royal Ascot), Tim Newton (Reading), Paul Raines (Buckinghamshire), Tom Wilde (Beaconsfield), Joe Winfield (Woburn), Adam Wootton (Oxford City), Dean Wright (Reading). Team at Muswell Hill: George Abbott (Chiltern Forest), Alfie Bull (Richings Park), Charlie Butler (Donnington Grove), Nigel Hunt (Frilford Heath), Jordan Mann (Sand Martins), George Munsey (Frilford Heath), Josh Stanners (Hazlemere), James Webb (Gerrards Cross), Harry Whittle (Woburn), Sam Williams (Castle Royle). 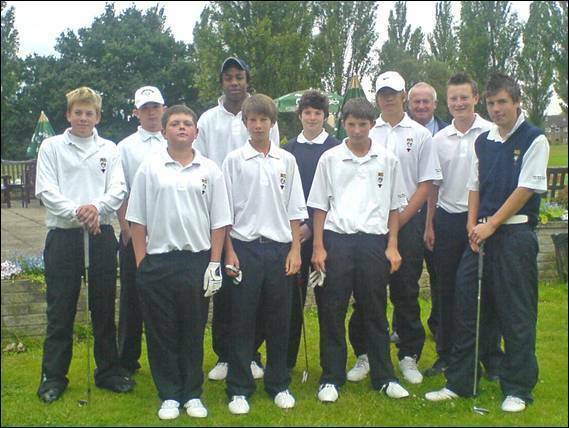 The boys played their second League match at Mid Herts on 27th July. A good win against Bedfordshire 13½-1½ but a disappointing draw with Hertfordshire after taking the morning foursomes convincingly. Team at Mid Herts: George Abbott (Chiltern Forest), James Cooper (Wokefield Park), Will Cooper (Woburn), Harry Crook (Woburn), Nigel Hunt (Frilford Heath), Jordan Mann (Sand Martins), George Munsey (Frilford Heath), Cameron Palumbo-McBride (Ellesborough) Harry Whittle (Woburn), Sam Williams (Castle Royle). 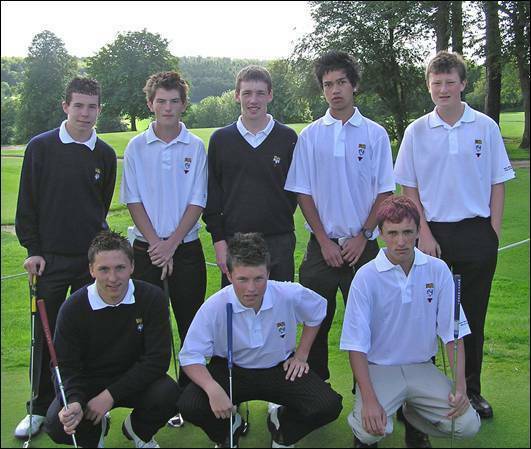 Team at Harpenden: Sandy Bolton ((Magnolia Park), Jamie Davies (East Berkshire), Robert Harrhy (Frilford Heath), Tommy Obergan (Gerrards Cross), Steven O’Connor (Tadmarton Heath), Vince Porter (Henley), Max Smith (Newbury Racecourse), Harry Whittle (Woburn). Team at Hazlemere: Jo Boardman (Beaconsfield), Jake Canning (Thorney Park), Jamie Davies (East Berkshire), Robert Knight (The Wychwood), Steven O’Connor (Tadmarton Heath), Vince Porter (Henley), Josh Stanners (Hazlemere), Chris Whelehan (West Berkshire). The Seniors played their first game against Essex on 14th May at Colne Valley. We fielded a very strong side and as 5 of the games went to the 18th, our experience paid off as we won 4 of these to post an excellent win 8-2. Manager David Shaw was delighted with his first win in charge and hopes to continue the good form against Bedfordshire at Tadmarton Heath in late June. 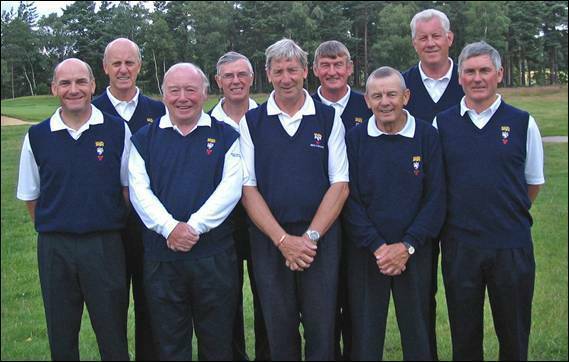 Team at Colne Valley: Jim Cameron (The Oxfordshire), Bryan Claringbold (Frilford Heath), Bob Clarke (Mentmore), Rod Crisp (Ellesborough), Duncan Forbes (Sonning), David Lane (Goring & Streatley), Gilbert Runnicles (Gerrards Cross), John Summers (Frilford Heath), Tommy Wells (Burnham Beeches), Jim Wilson (Frilford Heath). Team at Tadmarton Heath: Derek Bell (Newbury & Crookham), Steve Burton (Tadmarton Heath), Jim Cameron (The Oxfordshire), Rod Crisp (Ellesborough), Duncan Forbes (Sonning), Robert Gill (Gerrards Cross), Ian Hunter (Maidenhead), John Summers (Frilford Heath), Tommy Wells (Burnham Beeches), Jim Wilson (Frilford Heath). The Seniors played Middlesex at The Berkshire on 9th July. A series of errors from the home team on the 18th on the Red resulted in us ''snatching defeat from the jaws of victory'' and leaving the Seniors' Manager spitting feathers. He's calmed down now and has issued a must win notice to the team to play Hertfordshire on 23rd August. 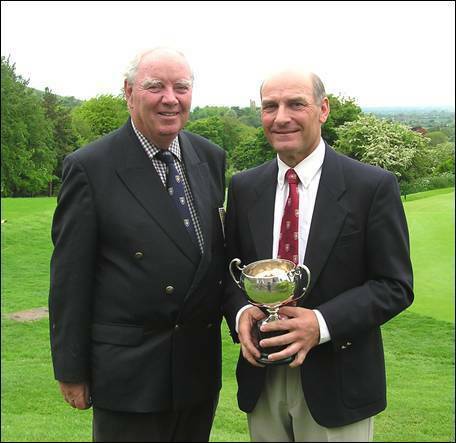 The BB & O Seniors’ Championship was played at Ellesborough Golf Club on Wednesday 16th & Thursday 17th May 2007. Play is split over two days and after the Wednesday round 23 players had broken 80 and were within 5 shots of the leaders Robert Gill (Gerrards Cross) and Christopher Ball (Newbury & Crookham). Defending 8 time Champion David Lane (Goring & Streatley) was amongst a large group on 77, but Rod Crisp (Ellesborough) was the closest challenger after a round of 75 and the second day was set up for an exciting finish, as so many players seemed in contention. With the weather on Thursday continuing to be showery and breezy the average scores started to rise. Christopher Ball (Newbury & Crookham) and Steve Dorritt (Gerrards Cross) were the early joint leaders in the Clubhouse with a score of 154. This held for some time as some of the other contenders fell away. Ian Hunter (Maidenhead) took the lead after a solid 76 gave him a 2 round total of 153 and the news from the final groups out on the course indicated that a playoff seemed the most likely outcome. 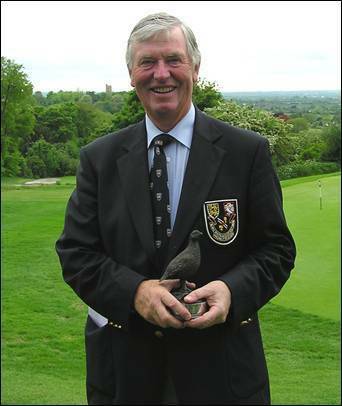 The last few holes proved costly for all the players other than John Summers (Frilford Heath). He was the only one not to drop no more than 1 shot in the last 6 holes and he came in with a best of the day 74 to take the title by 2 shots from Ian Hunter (Maidenhead), David Lane (Goring & Streatley), Rod Crisp (Ellesborough) and Robert Gill (Gerrards Cross) who all finished on 153. Summers took the 55-59 Age Group Trophy, whilst Ian Hunter took the 60-65 Trophy. 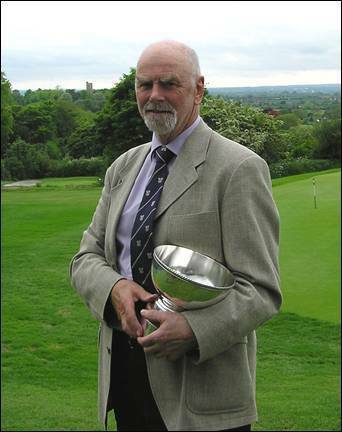 David Lane took the 65-69 Trophy and John Smithson (Harleyford) took the over 70’s Trophy. In the Handicap section the 142 of Simon Tredray (East Berkshire) saw off the challenge of 4 others tied on 144 with 2nd place going to Steve Dorritt (Gerrards Cross) and 3rd to Andy Malvin (Ellesborough), both after countback. Gerrards Cross took the Team Prize by just 1 shot from Frilford Heath in a very keenly fought contest. 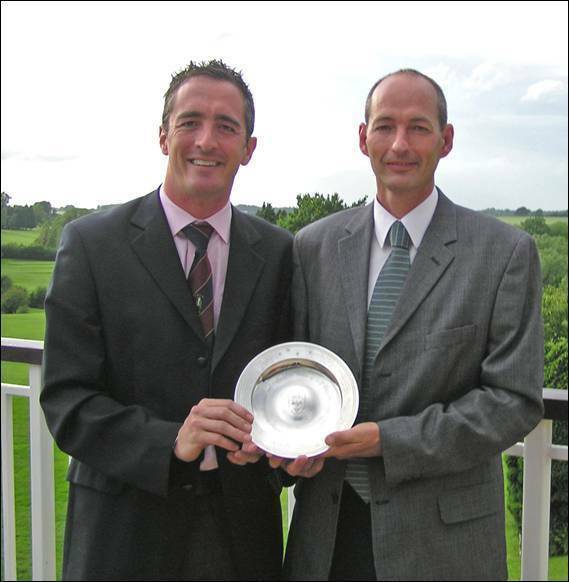 The BB&O Penfold Trophy was played at Harewood Downs Golf Club on Saturday 19th May 2007. This event also serves as the qualifying round for the BB & O Amateur Championship and the top 48 players and ties gain automatic entry to the Amateur and the next 60 play in the Penfold Trophy for the remaining 22 spaces. There were 124 entries and players of 1.4 and below were entered for the Amateur Championship and players of 4.5 and over were balloted out. Once again a number players ‘forgot’ to enter in time and seemed surprised when their entries were declined. With one overnight withdrawal 59 players contested the Trophy on a the new Harewood layout. In a stiff breeze and with one or two very tricky pin positions the score of 3 under par 66 from Michael Fox (Bearwood Lakes) was a great effort. Adam Clayton (Donnington Grove) also had a splendid round of 68 and the 69 from John Balagué (Caversham Heath) was outstanding as he followed an 8 on the 18th with a 5 under par effort on the front nine. These 3 led the field by a margin and the remaining players were battling it out for qualification and 29 had scores of 76 or better. With so many qualifying spaces available there was much debate as to where the cut would fall. Needless to say - The Secretary got it right! The weather did not improve in the afternoon but the course stood up well. A number of players were content to secure their places in the Amateur by playing steadily. Not surprisingly, in cases like this, the players actually improved their scores and a number of players scored excellent 70s. Adam Clayton added a 75 to his morning effort and led on 143. John Balagué continued his personal battle with the 18th - and lost! Nevertheless he continued to smile as he tied with Clayton on 143. Out on the course Shaun Kench (Chipping Norton) continued his steady form of the morning and a solid 4 at the last saw him match the Clubhouse leaders and he took the title on countback under the rules of the competition. The qualifying score was 152 on countback and those up to 153 are reserves for the Championship. 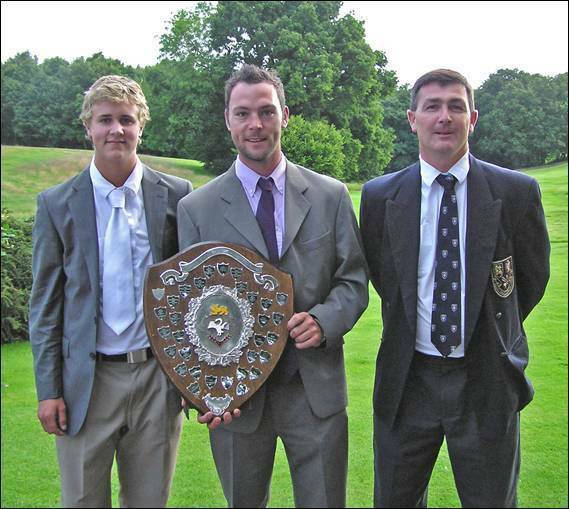 The BB&O Amateur Championship was played at The Berkshire Golf Club on Friday 15th & Saturday 16th June. The format for this Championship is the top 48 (based on exact handicap) are entered automatically and there are 24 qualifiers from the Penfold Trophy. The field was competing for just 16 places (and ties) for the final 36 holes on Saturday. With a number of players electing to travel up to Lytham for the British Amateur, the competition for those places would be keen. On a blustery day and after heavy overnight rain the course was still in magnificent condition and the very slick greens caused one or two players some problems. Playing the Blue Course in the morning, four players finished with 2 under par 69s including Adam Clayton (Donnington Grove) and Spencer Hallam (Tadmarton Heath). 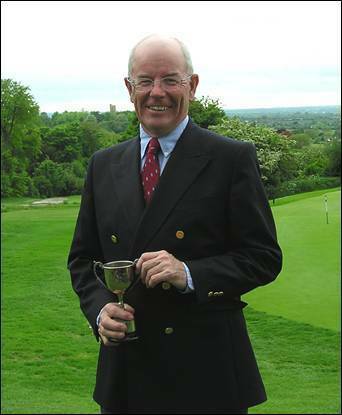 Andrew Crux (Denham) was amongst a group on 70 and Seniors Champion John Summers was just 3 adrift after a round of 72. Play moved to the Red Course in the afternoon and this is where the experience of those who play in the Berkshire Trophy would tell. Nick Hills (Donnington Grove) and Matt Briggs (Stoke Park) added 71s to their morning 70s and were handily placed on 2 under par. Steve Barwick (Stoke Park) was also having a good day and his 71 put him at 3 under. However, leading the way was another Stoke Park player in Kevin Freeman who has a wealth of experience of this course and he posted a 4 under par 68 to add to his 69 on the Blue to lead by 3 shots after day one. The County Captain correctly predicted the cut (he had several guesses) at 148 and 18 players, including 3 from the Penfold Trophy, advanced to the second day. With wind, rain and the possibility of thunderstorms it was never going to be day for very low scoring and after the morning round one or two players had fallen too far back to challenge the leaders. Paul Raines (Buckinghamshire) had an excellent 4 under par 68 to be 1 under par for the 3 rounds and Andrew Crux finished at level par. Just these 2 players looked able to catch Barwick and Freeman who had continued to score under par. Barwick added another 71 to stand at 4 under but Freeman matched this to maintain his 3 shot advantage. The players were fairly tired going into the last round and just Craig Hinton (The Oxfordshire) was able to make a charge up the leader board with a fine 68 which would see him finish in 4th place. Andrew Crux produced his second 70 of the Championship to finish 3rd, whilst out on the course Freeman had picked up 3 birdies on the front 9 to extend his lead to 4. Barwick then made his only real mistake of the 2 days on the 12th and Freeman’s par saw him open a 6 shot lead which he was never likely to relinquish as he played very steadily to finish with another 68 to win his second Amateur Championship. 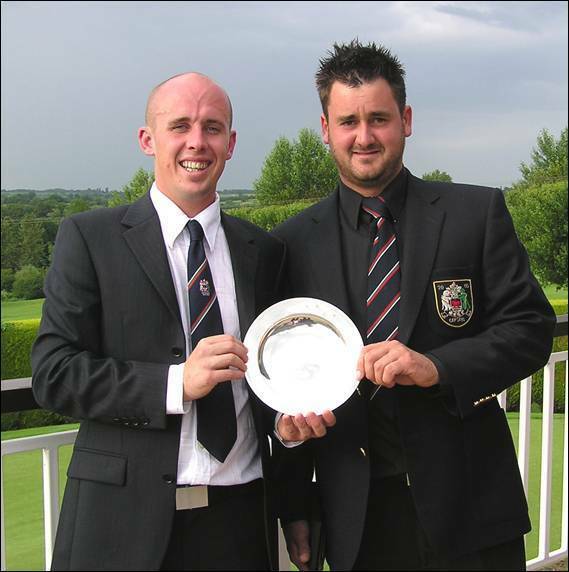 The BB & O Club Scratch and Handicap Foursomes Championships were held at Buckingham Golf Club on Thursday 21st June. The Scratch Championship was contested by 29 teams and the morning scores were fairly average with Calcot Park represented by George Wilson and David Wyeth leading with a 2 over par 73. Flackwell Heath represented by Paul Mulcuck and Luke Briars were a shot further back. The afternoon round saw scores come down with Chipping Norton and Burford posting 73 and 72 respectively to finish on 148. It looked like there would be countback as the Sonning pair of Mike Rapley and James Prince finished eagle, par, birdie for a fine 70 to add to their morning effort and join the lead on 148. Out on the course the Oxford City team of Ian Bound and Craig Marriott had reached the turn in 2 over par and seemed out of contention, however a great 3 under par back 9 saw them home in 33 for a 70 and their total of 147 was just good enough to take the title by 1 shot from the 3 tied on 148. In the Handicap Championship there were 30 teams taking part and the morning scoring was very similar to that in the Scratch event. Last year’s runners up Chesham & Ley Hill represented by David Gregory and Simon Bowller had an excellent net 70 with Josh Stanners and Lee Putnam of Hazlemere lying second on net 72. Burnham Beeches, Buckingham and Reading were also in contention just a further ½ shot back. Another excellent afternoon net 70 from the Chesham & Ley Hill players gave them a 5 shot lead that was never challenged as they beat Calcot Park into 2nd who had a best of the day net 67, with Shrivenham Park in 3rd place. This was Chesham & Ley Hill’s 2nd win in three years with a runners-up spot in between. 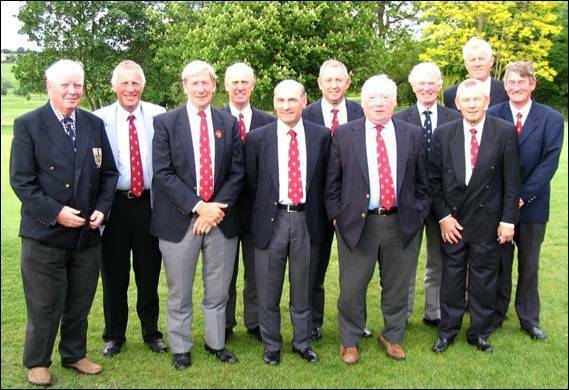 The BB & O Champion Club Scratch Team Finals were played at Newbury & Crookham Golf Club on Saturday 21st July. The event is contested by the top 12 Clubs qualifying through the June Medal round played at their home course. This final format is the best two medal scores from three counting both morning and afternoon. The leading Club goes on to represent BB&O in the English Champion Club Tournament being held at Hesketh Golf Club on 14th & 15th September. 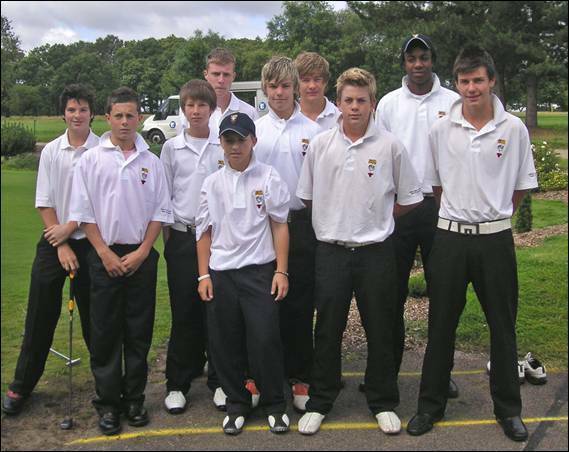 This event ran concurrently with the Courage Trophy for 2006 Club Champions and some players were in both competitions. After torrential rain on the Friday it was a credit to the Greenstaff that play was possible at all. Dealing with the after effects of 4½ inches of rain was a massive achievement and it was incredible that the course was in such great condition. The morning finished with just two clubs realistically in the running, Gerrards Cross and Stoke Park were tied on 138 with Goring & Streatley 6 shots further back. The best round of the morning had been the 2 under par round of 67 from Kevin Freeman (Stoke Park), closely followed by Craig Buttivant (Gerrards Cross) with 68. Despite a long delay to allow a severe weather pattern to pass in the late afternoon the scores improved and with 5 holes to play it was too close to call. However, the Gerrards Cross pair of Craig Buttivant and Guy Dawson just outscored the Stoke Park team in the final stretch and came home to win by 3 shots with an overall 2 under par aggregate. Interestingly if all scores had counted then Gerrards Cross would still have won by just 1 shot. Beaconsfield clinched 3rd place after an excellent afternoon performance. This included Robbie Christian scoring a hole in one at the short 6th which meant the hole conceded every score from an ace to a ‘snowman’ on the day. We wish Gerrards Cross luck in their attempt to become English Champion Club later in the year and hope they can carry on the good work in the pursuit of the European Champion Club title. 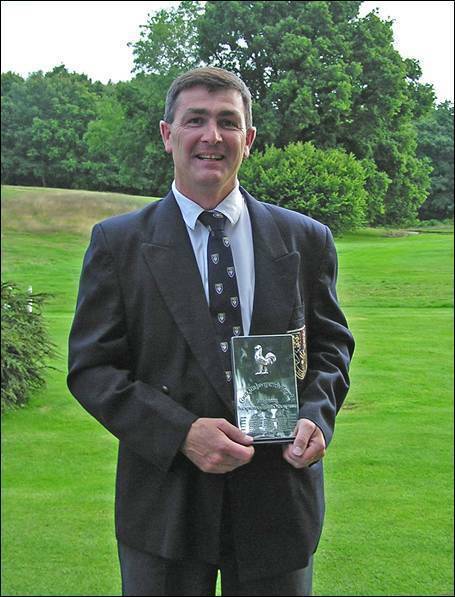 The BB & O Courage Trophy was played at Newbury & Crookham Golf Club on Saturday 21st July. This Event is for Club Champions from 2006 and for the third time it had been combined with the Champion Club Finals to ensure a good field. However a large proportion of the entrants pulled out during the previous week and just 17 players contested the event - a very disappointing situation and one that will probably result in this Trophy being dropped next year and awarded to the leading player in the Champion Club Finals. The morning finished with just three players in with a real chance with Craig Buttivant (Gerrards Cross) leading the way after an excellent 1 under par 68. Max Smith the 15 year old from Newbury Racecourse was 3 shots adrift and Alex Tonge (Maidenhead) another shot back. 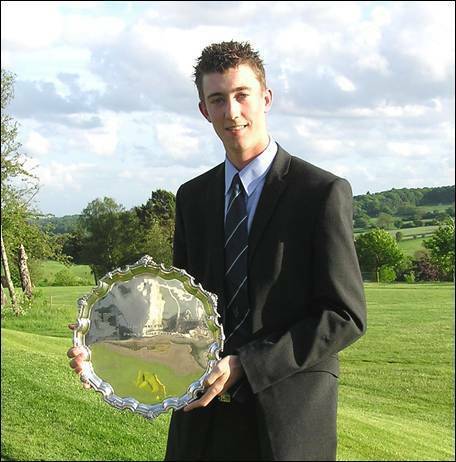 Despite a long delay to allow a severe weather pattern to pass in the late afternoon the scores improved and Max Smith posted a best of the day 66 to overtake Nick Woodage (Newbury & Crookham) and to look favourite to take the Trophy. However Craig Buttivant was still playing excellent golf and with 3 holes to play on the front nine held a 1 shot lead. Two pars at the difficult 7th & 8th saw him in sight of victory. A fine shot to the par three 9th gave him a good birdie chance which he just missed but his tap in par gave him the Trophy by just 1 shot. 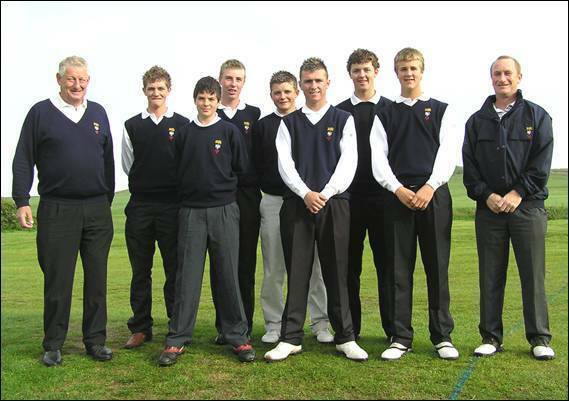 Played at Sheringham Golf Club on Friday 1st June 2007 our Team of 6 players were: Eddie Pepperell (Drayton Park), Sandy Bolton (Magnolia Park), Jonathan Hewitt (Gerrards Cross), Mathew Johnson (Chipping Norton), Max Smith (Newbury Racecourse), Joe Winfield (Woburn). The format is 5 scores from 6 count from each round. Competition Scratch Score was 71 both morning and afternoon. Our players were lying 8th, a very disappointing 16 shots off the pace after the morning round, with the best score coming from Eddie Pepperell with a fine 1 under par 76. The whole field was tightly bunched and we had high hopes of a good finish and to improve our overall position. Just Eddie Pepperell and Mathew Johnson played well and we were unable to make any real progress leaving Surrey beating Kent into 2nd place with a 4 shot advantage. Our total of 765 left us in 7th position. 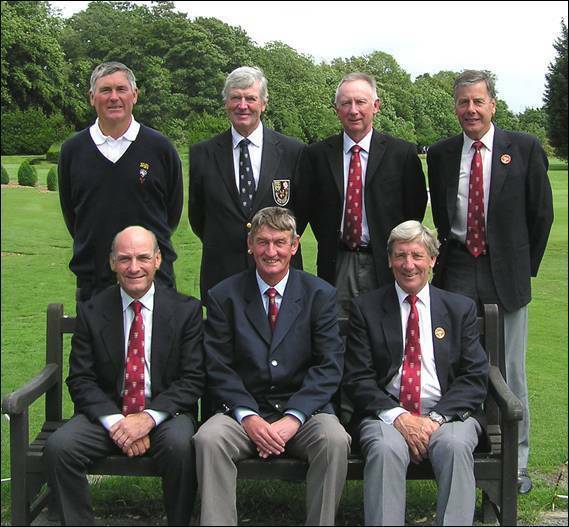 Played at Basingstoke Golf Club on Wednesday 27th June 2007 our Team of 6 players were: Derek Bell (Newbury & Crookham), Rod Crisp (Ellesborough), Robert Gill (Gerrards Cross), David Lane (Goring & Streatley), John Summers (Oxford City), Jim Wilson (Frilford Heath). The format is 5 scores from 6 to count with just 18 holes being played. With our early returns we looked as if we could give Kent another run for the title. We produced a string of respectable scores and it looked very promising until Roger Salmon of Kent produced a fine 71. This meant that our 6th card could come into play if there was a countback and this did not look good. Once again we relied on David Lane to get us through and he produced a wonderful 69 but even he could not get the birdie at the last that would have taken us to the Final and we lost on a countback. This is the 3rd year in a row we have finished 2nd to Kent and we are determined to go one better next year. Played at Abridge Golf Club on Saturday 7th July. Our Team of 6 players were Steve Barwick (Stoke Park), Gregg Blainey (Bearwood Lakes), Matthew Briggs (Stoke Park), Kevin Freeman (Stoke Park), Tom Lawson (Ellesborough), and Stephen Lewton (Woburn). The format is for all 6 scores to count from each round. The standard was extremely high this year with 50 players with a plus handicap. Hampshire were the strongest team on paper with a combined handicap of Plus 13 with BB&O and Surrey next best at Plus 11. We felt that this year would be one of our best chances for a while. However our play in the morning was mediocre to say the least, but surprisingly at lunchtime we were only 9 behind the local Essex side and hoped for better things in the afternoon. Amazingly just a single team improved on their morning efforts on a course that seemed receptive to low scoring. Just 3 players scored in the 60s all day with the average score in the morning at 75 and nearly 76 in the afternoon. We continued to struggled and finally limped home in 8th position, 19 shots behind the Hampshire side who just edged out Sussex in dramatic fashion on the last.